VI, the French black metal supergroup comprised of members from Antaeus and Aosoth, has released the improbably-named “Il est trop tard pour rendre gloire. Ainsi la lumière sera changée en ombre de la mort.” sample track from De Praestigiis Angelorum, permitting a short review. Like later Antaeus, this band is hollow. It is not outright fake, but it aims to control your mind by pleasing you with surface characteristics and missing what lies beneath. Much as the first Antaeus had possibility in that it attempted to upkeep some of the ideas of the past that worked, but never quite got there, and then the band backed off of that direction with later releases, VI has a strong surface of old school black metal — fast rhythms, the right minor-key riffs, the right texturing of melody and grinding — but at its core there is nothing. You might look at this as simply a better take on Deathspell Omega, but there is no transcendent passion in these songs, only a somewhat cynical knowledge of how to make music sound brainy and violent at the same time. What propelled original black metal was a strong emotionality based in a worldview inspired by logical analysis, not social feelings, about human problems. VI reverses this with a song about the social feeling of belong in black metal and thinking how austere, relentless and different you are just for listening to this, and yet it has no substance. The band ably combines two riffs and variations for the initial part, then drifts off into a patchwork of ideas that fit together rhythmically but crush any chance for expressing a consistent or developing theme. What you get is like American beer: it has all the right ingredients, in the wrong order, with no idea uniting it all except to please the average fool for long enough that he will buy it again. Avoid this FMP/NWN release. VI is a French black metal trinity, made of current and ex-members of Aosoth and Antaeus. 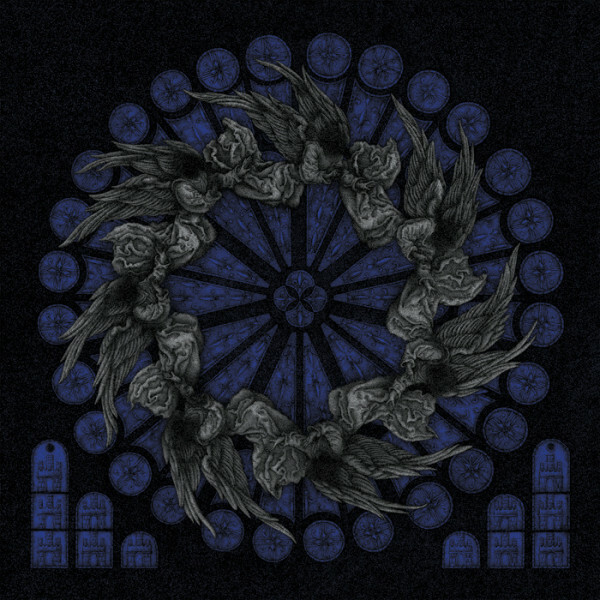 Their debut full-length album, De Praestgiis Angelorum, bestirs within the characteristic black metal niche developed by the said bands, with the addition of expanded guitar work, choirs and subtle sample parts. VI describes their music as “extreme, devoted black metal with illuminated chaos”. – Featuring INVRI (Aosoth, ex-Antaeus) on guitars and vocals. – Featuring BST (Aosoth, ex-Antaeus, ex-Aborted) on bass. – Featuring Blastum (ex-Aosoth, ex-Antaeus, Merrimack) on drums. – Recorded, mixed and mastered in BST Studio (Antaeus, Hell Militia, Aosoth, Vorkreist). – Cover artwork by Alexander L. Brown (Leviathan, Stargazer, Bölzer, Darkthrone). – For fans of for fans of Deathspell Omega, Funeral Mist, Aosoth, Ascension, Svartidaudi, Antaeus. Par le jugement causé par ses poisons. La terre ne cessera de se consumer. Regarde tes cadavres car il ne te permettra pas qu’on les enterre. Une place parmi les morts. Voilà l’homme qui ne te prenait pas comme Seigneur. Il est trop tard pour rendre gloire. Ainsi la lumière sera changée en ombre de la mort. Plus aucun membre ne sera rendu.